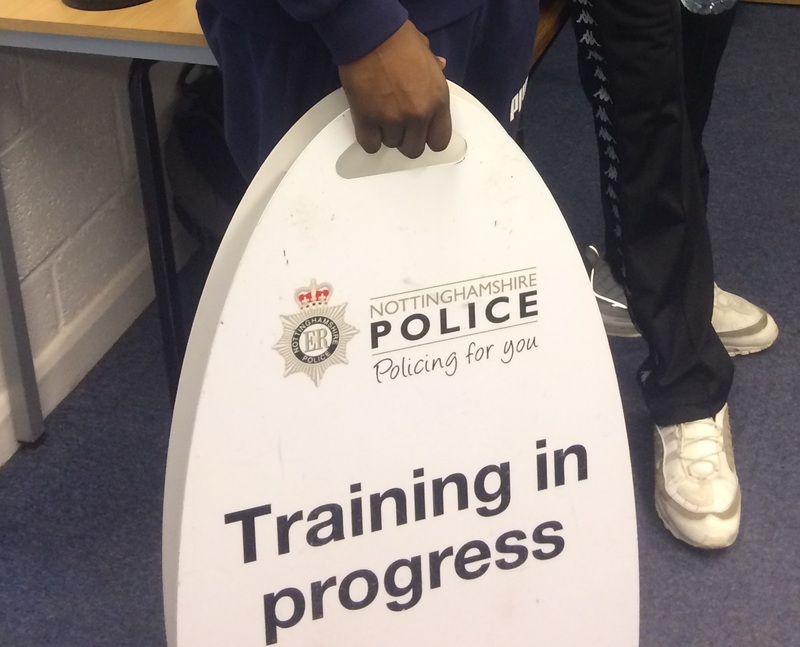 Nottingham College Public Services students are learning about potential future careers while helping out Nottinghamshire Police with their staff training exercises. The students are taking part in various role play scenarios to help trainee Police Officers prepare to deal with real life incidents in their careers. In the most recent training exercise earlier this month, 14 Public Services students joined the trainee Police Officers at intu Victoria Centre under the expert supervision of senior Training Officers. They acted out a range of role play situations, including ‘shoplifting’, ‘carrying and hiding offensive weapons’, and ‘aggressive arguments’, as well as learning how officers deal in a professional way with people who are experiencing homelessness. After being split into groups, the students were briefed and allocated their role by a senior Police Officer from the training team. Notices were displayed to inform the public that these realistic-looking situations were only for training purposes, to ensure no one mistook them for the real thing. “It helped me improve my knowledge of the police service and was a fun experience." Trainee officers were assessed by a senior Police Officer. At the end of the role play the students were asked for feedback on how polite, professional and respectful the trainee officers had been.